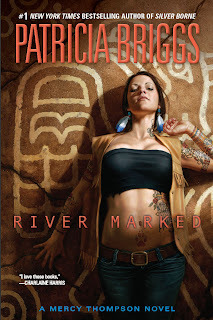 I just finished River Marked, the newest Mercy Thompson book by Patricia Briggs. I devoured this novel in about 5 hours, during which I huddled up on the couch, cradling my Kindle like it was my precious. I’m pretty sure my boyfriend spoke to me during that time once or twice, but I growled at him until he went away. The book was great and I really enjoyed it, but I want to talk about Mercy herself. Because, you guys, I love Mercy Thompson. First, let’s talk about what Mercy Thompson is not. As we crack open the first book, Moon Called, it’s pretty clear that Mercy is pretty much like you and me. She does a less than glamorous job, working hard to support herself. She values having her own space, and being independent is important to her. She loves her cat. She has a crush on her hot neighbor but she’s never come right out and made a move. No matter how unconventional they happen to be, Mercy is loyal to her friends. She makes mistakes. When she gets knocked down, she picks herself back up and moves on as well as she can. Mercy Thompson does differ from you and me in a few small ways, of course. 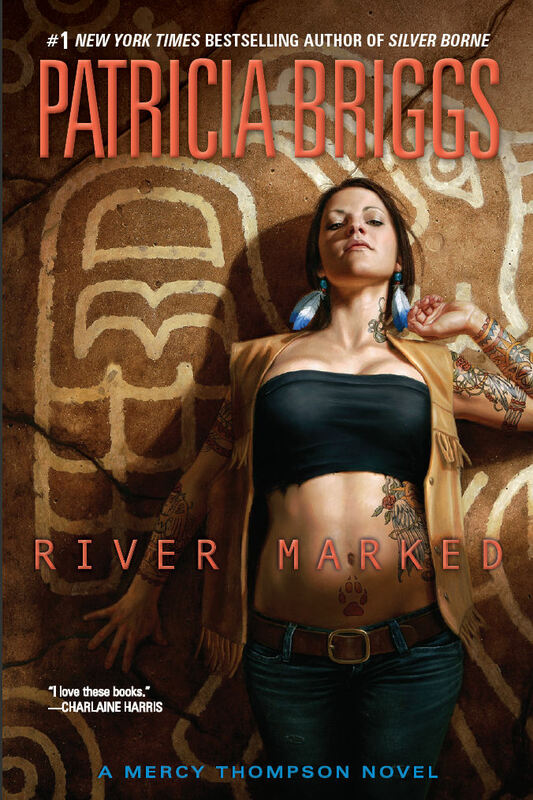 She’s what is known as a walker – she can turn into a coyote whenever she wants to, a legacy from her American Indian father. When Mercy’s mother found a coyote pup instead of her baby in the crib one day, she contacted a werewolf pack related to the family and Mercy went to live with them. Being raised by werewolves is no picnic, but Mercy weathered it well for fourteen years, then went back to live with her human family. Some fifteen years later, it’s not her fault that trouble finds her. Really. Her main issue isn’t that she’s a walker or that she’s a known figure within the supernatural community. No, her problem is she cares too much and feels bad leaving people to their fates – even when she probably should. How many times have you stepped in to help someone and gotten mired in some major drama? It just gets a little more out of hand for Mercy, what with the fangs and the claws and the magic. I love Mercy Thompson for all the reasons she’s a normal woman, rather than the few reasons she isn’t. I can identify with the decisions she makes and understand that, given the situation and her own personality, she couldn’t have done otherwise. People tell her to stay out of trouble, don’t get involved, it’s not her problem – well, if she was that kind of person, she wouldn’t need that advice, would she? For better or for worse, she’s not going to be able to say no to her friends, even when the going gets tough.